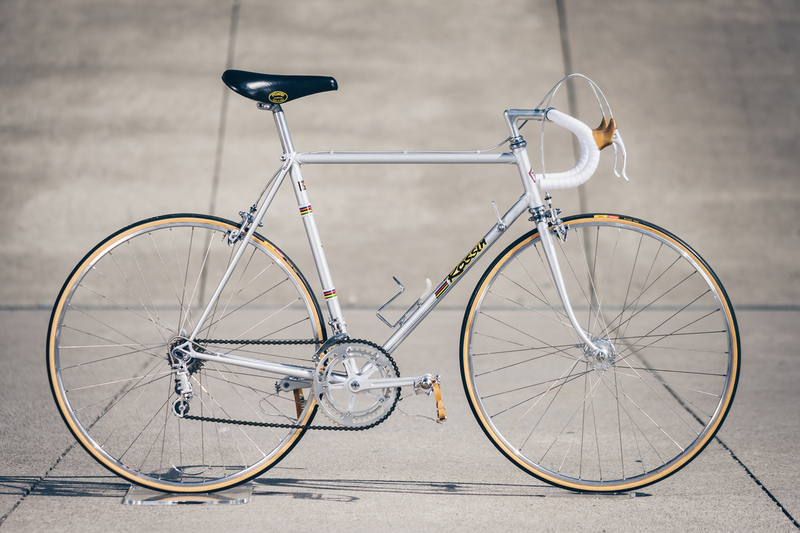 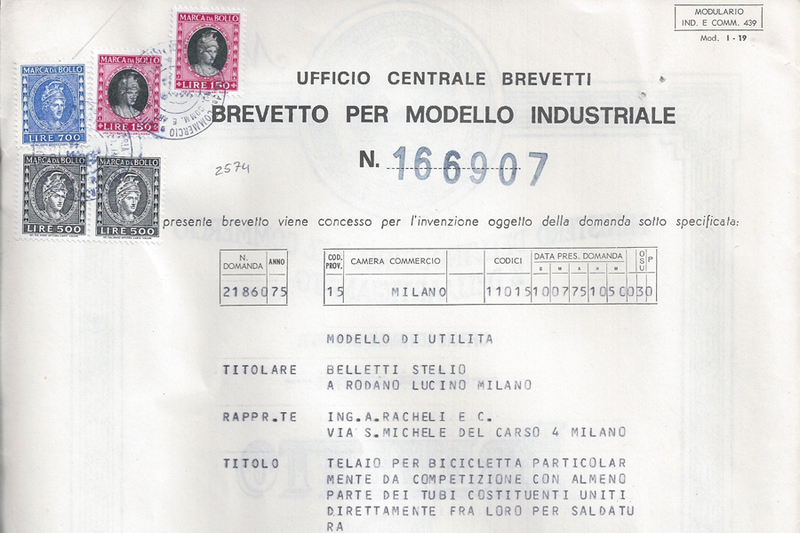 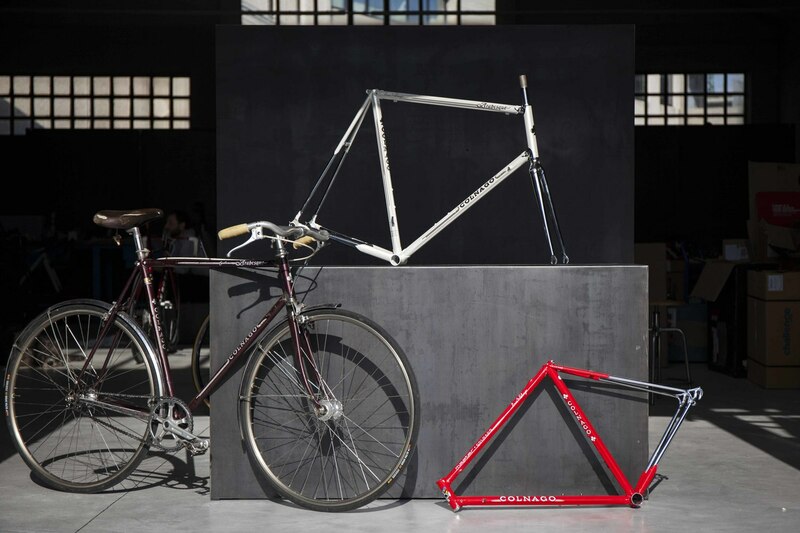 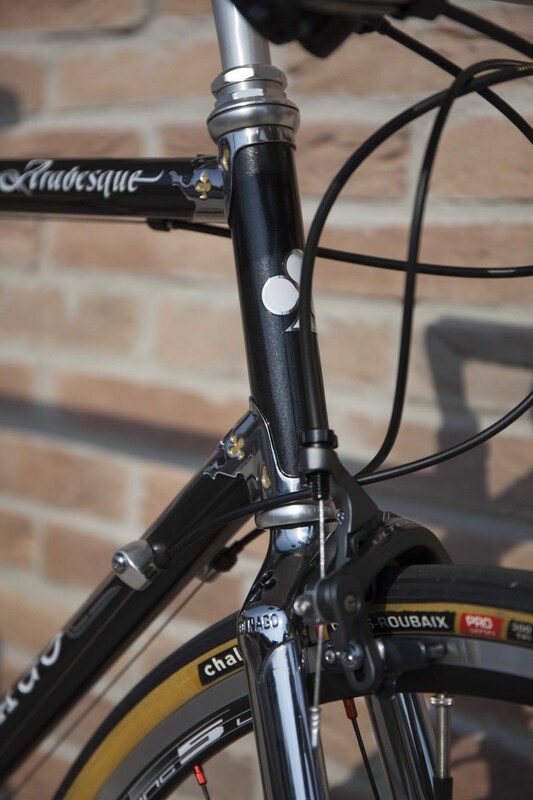 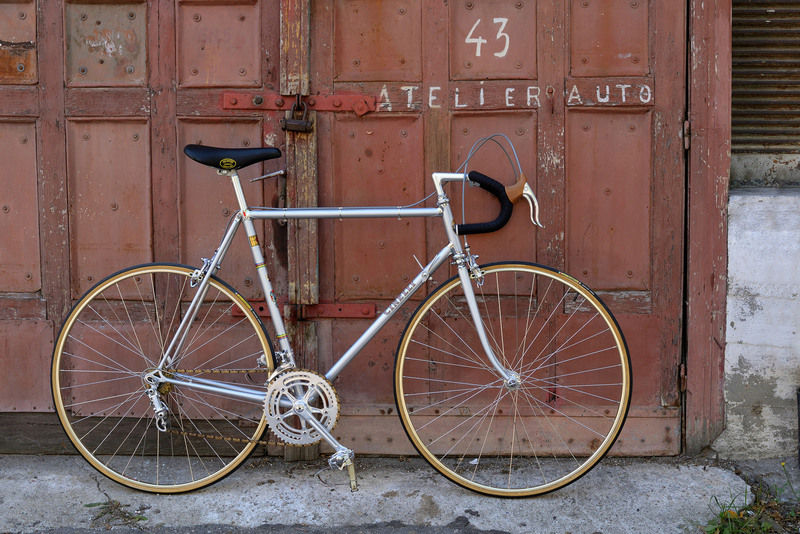 It was in 1985 when Ernesto introduced this gentleman model to the public, prompted in part by the requests of friends and from fans of the brand who wished to use a Colnago for city rides. 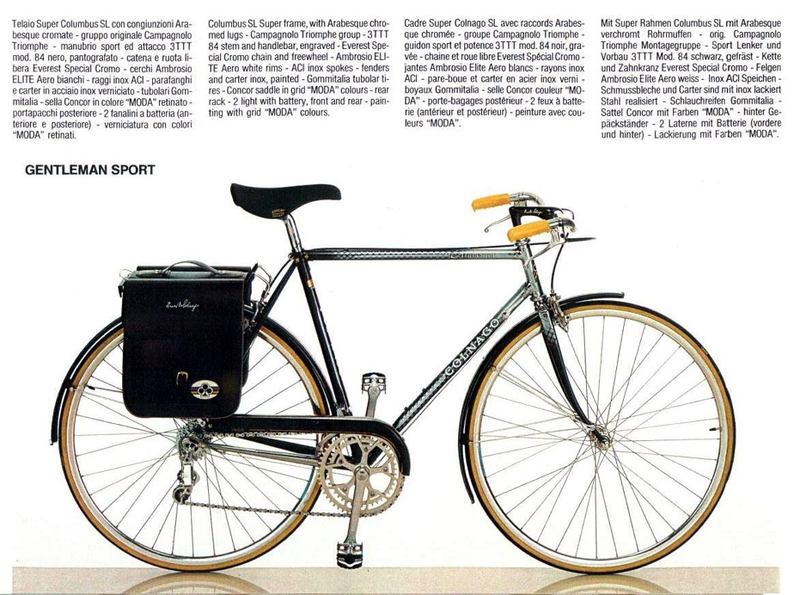 A Bag, mudguards and a “Gran Torino” bell made the Arabesque Gentleman the most desirable city bike on the market. 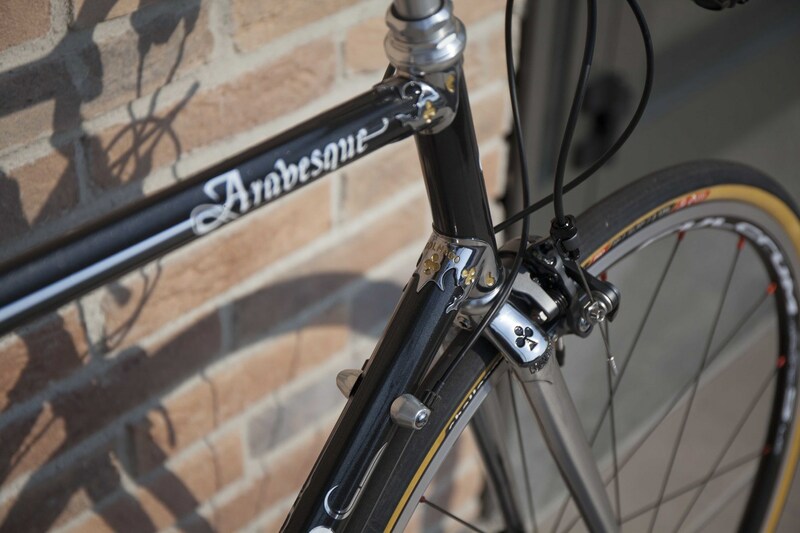 We didn’t intend to make a direct comparison with the client who commissioned this Arabesque built, rather we always wondered how a modern version of the Arabesque Gentleman would turn out with contemporary components? 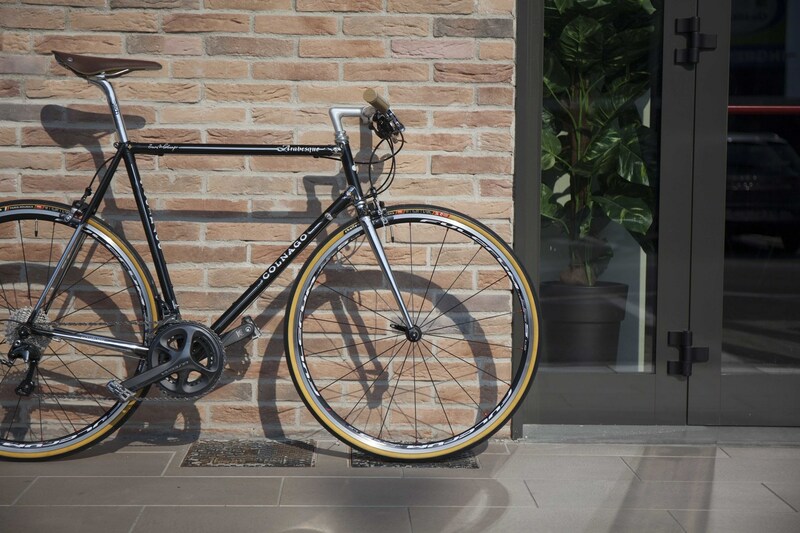 The customer, a passionate advocate of Colnago, wanted something special for his commute and the idea was clear in his mind. 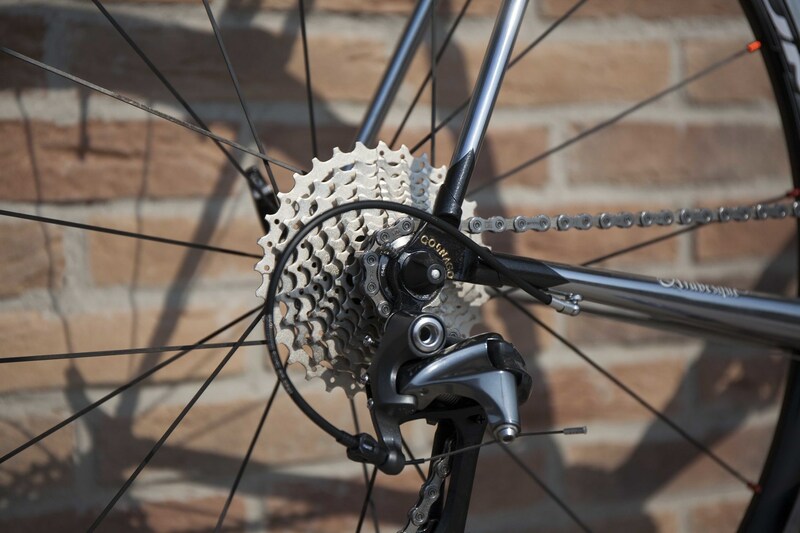 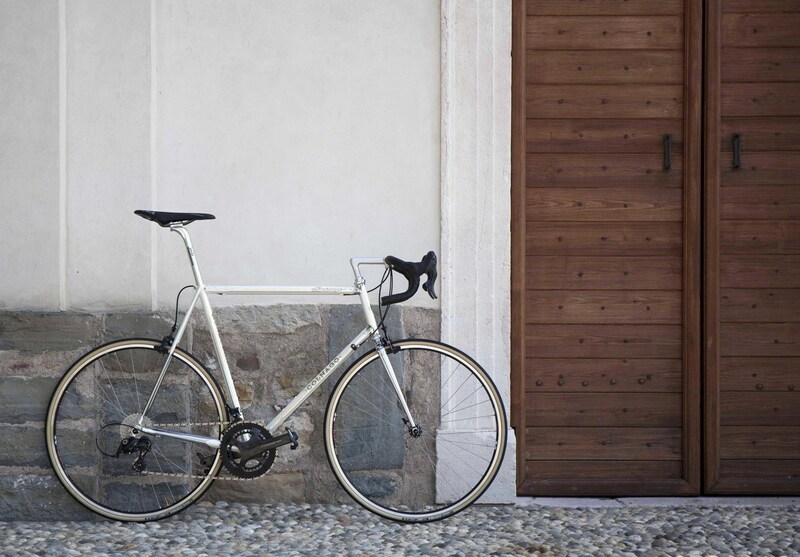 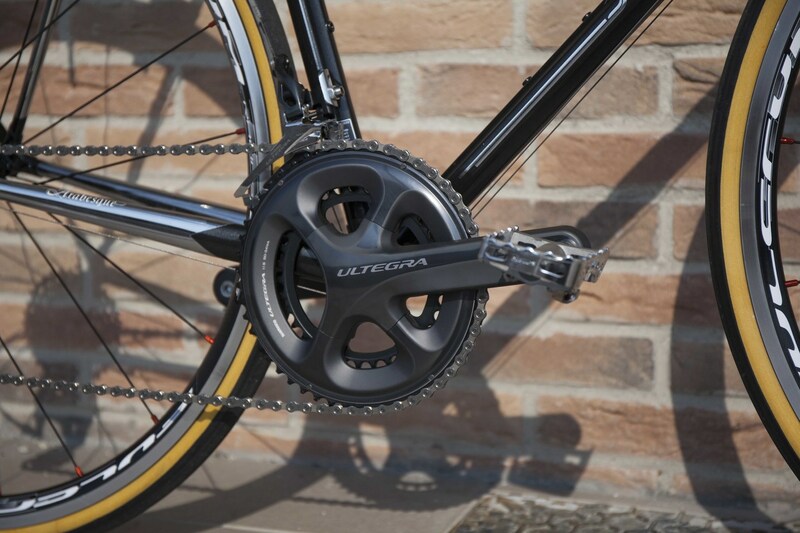 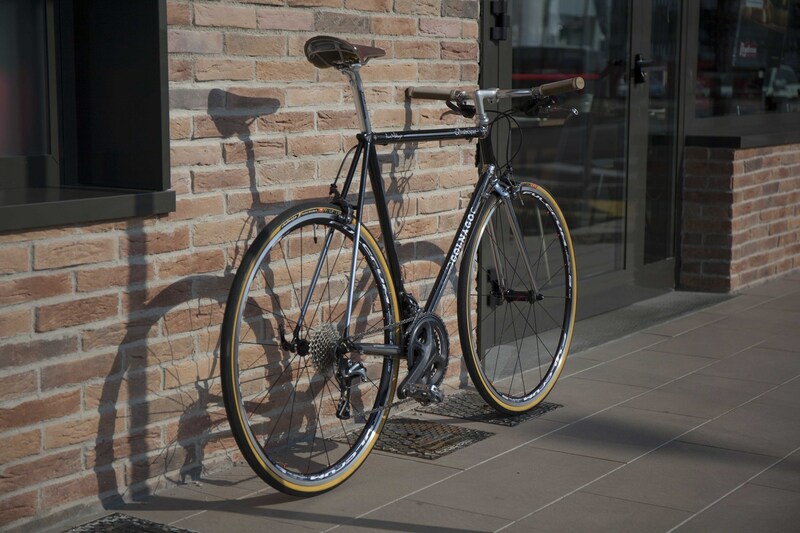 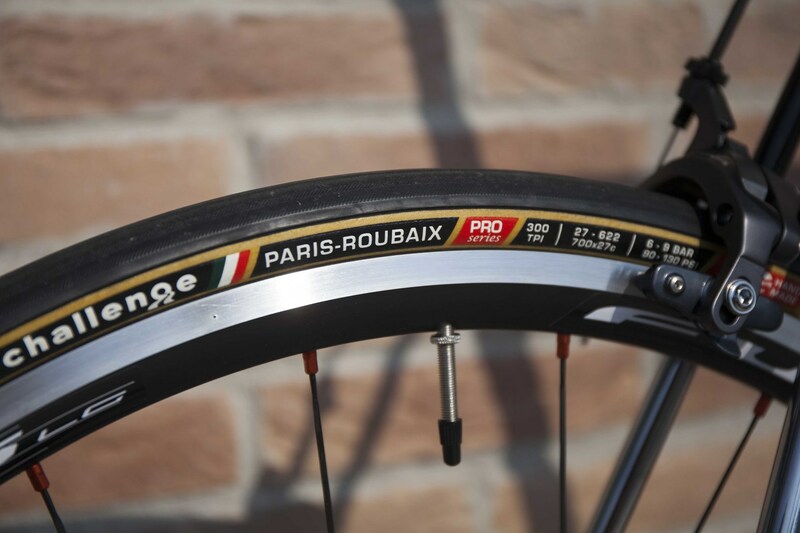 A steel frame equipped with an 11 speed groupset, straight handlebars providing an upright position, rigid and robust Fulcrum 5 wheels shod with 27mm Challenge Paris Roubaix. 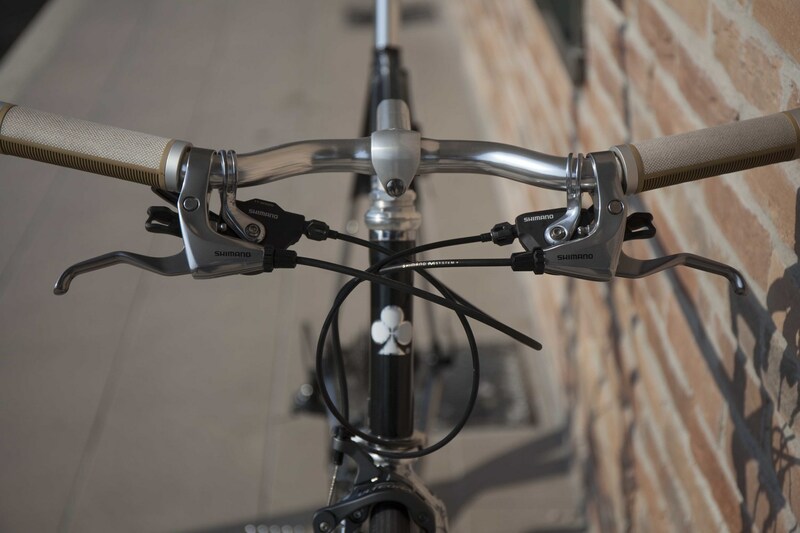 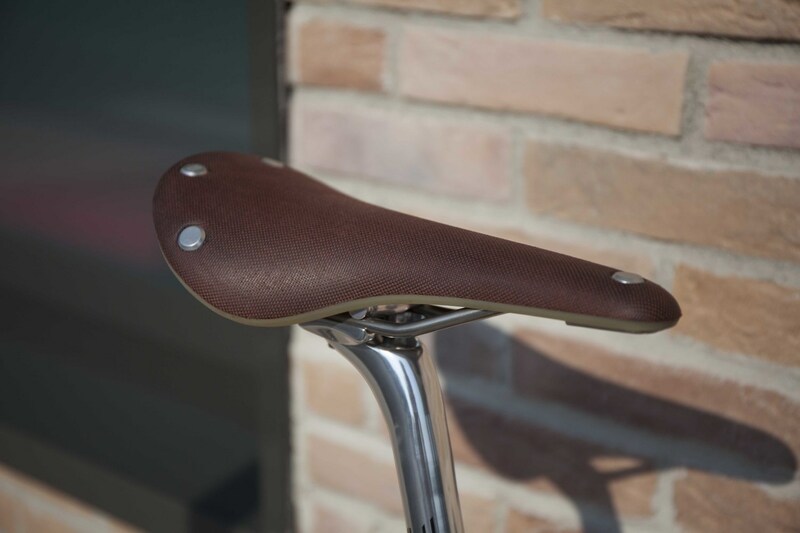 The brooks seat and handle bar grips provide added comfort and are a nice aesthetic touch.